Hi beautiful! Today I have another healthy skin post, but this time working from the inside out! Our diet is a vital component in keeping our skin healthy, clear, even toned and glowing. The nutrients found in fruits and vegetables are buzzing with anti-inflammatory agents, phytonutrients, minerals and vitamins which act like little skin-superheros! And juicing is a great way to consume a wide variety of fruits and vegetables to supercharge your body. When it comes to juicing, I don't tend to follow a "strict" recipe. I love my greens (spinach, cucumber, celery etc...) and always mix it in with a few apples, lemon and ginger for a sweet taste. Below is a picture of the ingredients I used this morning. It tastes so good (for real), and it is packed with healthy nutrients, enzymes and super detoxing & energizing components. Recently I've been making one 20 oz jar of green juice (pictured below) which I have in the mornings, and then I make another jar usually of carrot, lemon, ginger which I'll have in the afternoon - early evening time. Making two juices in one go saves a lot of clean up time! I also love adding cucumber, but didn't have any today. It gives a sweet taste to your juice, and is ultra hydrating! The thing about juicing is that you really don't have to be specific about the quantity of each ingredient you're using, it's about improvising with what you've got. 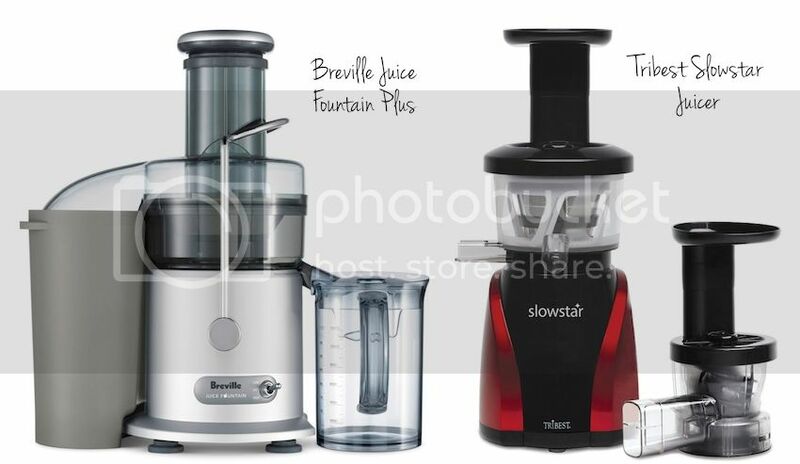 My top two recommendations for juicers are the Breville Juice Fountain Plus (around $150) and the Tribest Slowstar Juicer (around $300). They both work really well, however if you're on a budget I would go for the Breville as it's more affordable - but still works great. The Slowstar is a vertical "slow" juicer and works by a squeezing method as opposed to the traditional spinning method. This allows for more juice per fruit/vegetable and allows more of the nutrients to be preserved during extraction. The Slowstar is also a 2 in 1, and comes with a mincing attachment to make nut butters and sorbets. You could also make nut milk with this machine! I seen so many recipe of detox but never with cilantro one of my favorite herb going to archive to try it I bet is delicious. I actually added spinach to my smooth/juice the other day... and OMG let me just tell you, its DELICIOUS! I believe in natural, healthy glowing skin. I am a person who doesn't wear foundation at all (powder or anything) ( I do wear mascara and eye-shadow, but nothing likeso I like to try anything to help my skin stay clear and looking fresh. Recently I've had a problem with breakouts on my forehead and around mouth area ( but mostly forehead) so I'm going to see a dermatologist in March, because breakouts like that aren't normal for me.... it's like they wont go away :( Especially because i'm a FASHION BLOGGER, I want my skin to look good! :) Thanks for this recipe Annie! I have the breville juicer and love it so much. The only thing I really dislike about it is how long it takes to clean everything/all the parts. If you or anyone else find this annoying here are some tips: Put a bag where the remains go instead of the grey container. If you tie it on secure, you can just toss it out when you are done. Also instead of using the juice jug/lid that comes with it, you can put a glass there unless you are making a jug of it. So that takes care of 3 pieces and saves some time on cleaning. My hubby gave me this as a gift last year when I found out I was pregnant! Such a great way to get nutrients. I love all of your posts about how to make homemade scrubs, etc. Nice to change it up and be creative and get that beautiful glowing skin! Sorry this may sound a stupid question but I really need to uderstand this. I don't have a Juicer, I have a blender, which is definitely not the same, I know. It is asuper powerful one. I will buy one but not now. But what are the benefits of not eating the fiber as it happens with a juicer? Or on the other hand, is there any counterindication in just blending it all together and have it? It is a matter of calories, digestion or what? Thanks a lot for your commitment in the blog, I really love it. I don't have a juicer but i don't mind drinking this as a smoothie, thanks for sharing! hello annie! I've never tried juicing before and am thinking of trying this recipe. But I'd like to ask you about the exact amount of every fruit or vegetable that you used , or is it just random ? Sorry it's called Oil of Life. I don't have a juicer at home only a blender, is it possible to make a smoothie out of all these ingredients? I tried blending some moringa leaves and milk but it totally failed. It was a disgusting smoothie. It was my first time and I didn't follow any recipe for it. 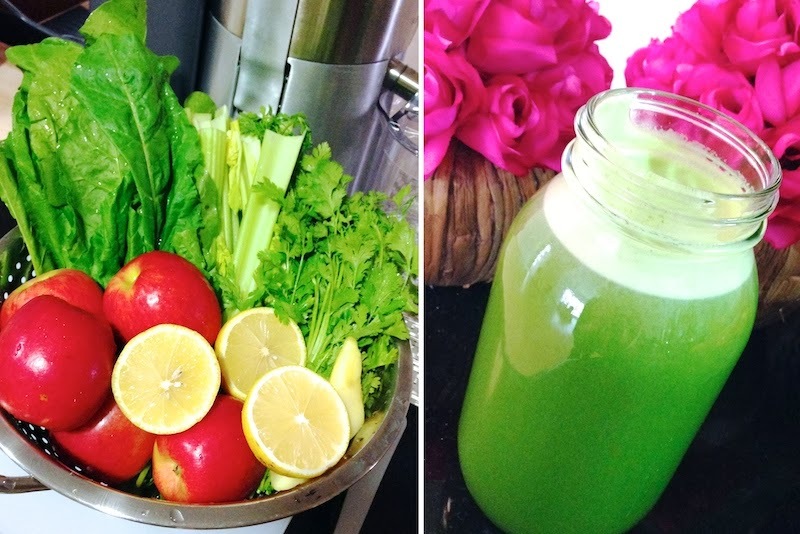 Which do you think is healthier to consume, a green juice or a green smoothie? It may sound obvious but if you get healthy your skin will too, they're linked. If you are not healthy your skin won't be.